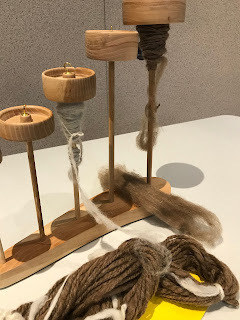 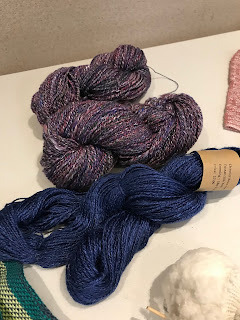 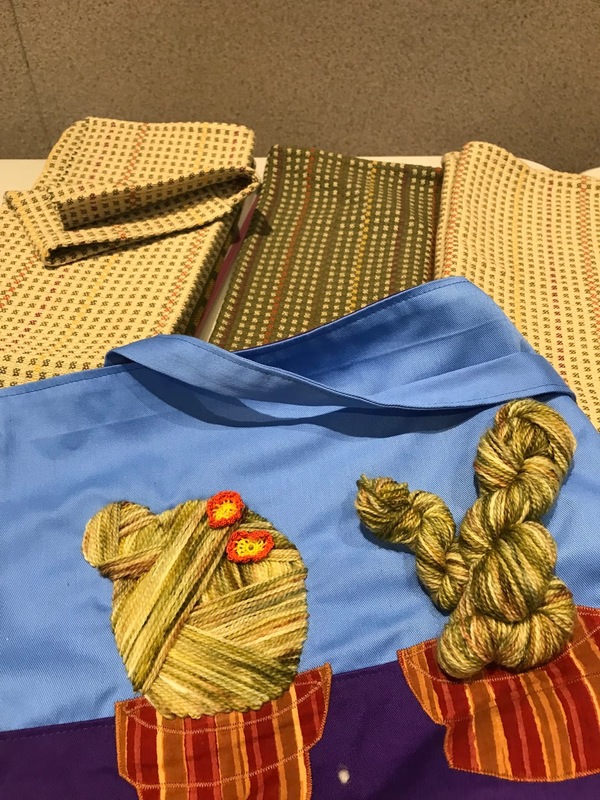 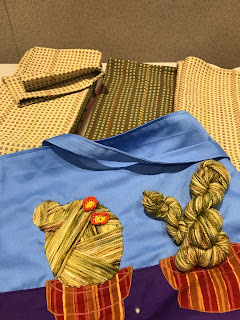 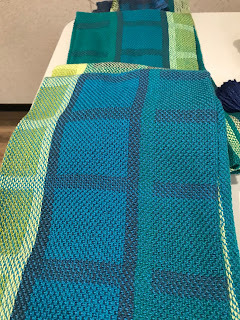 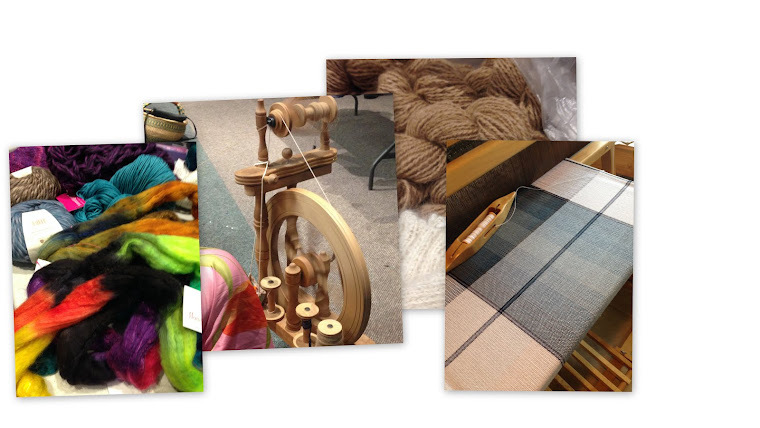 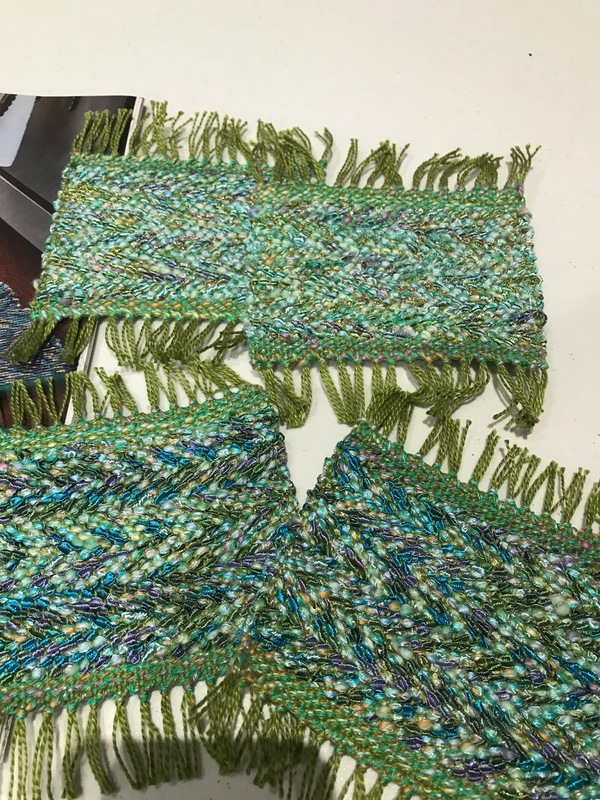 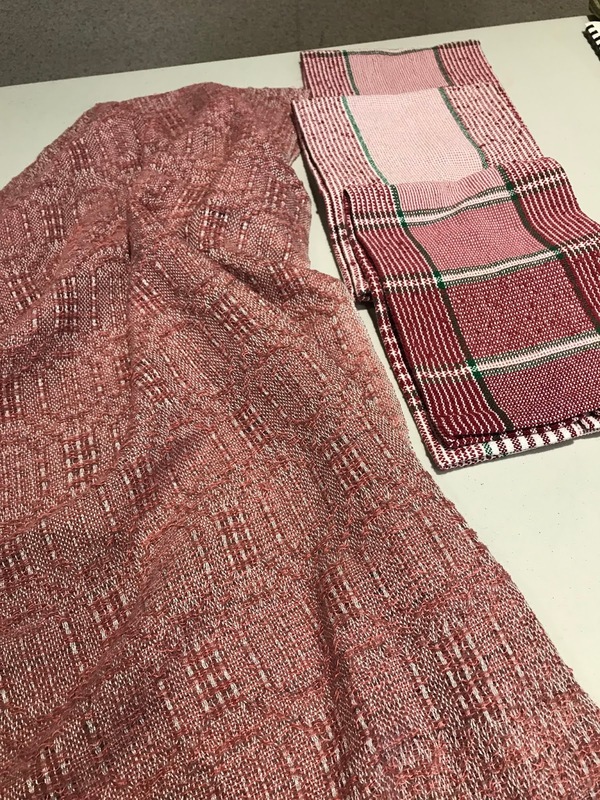 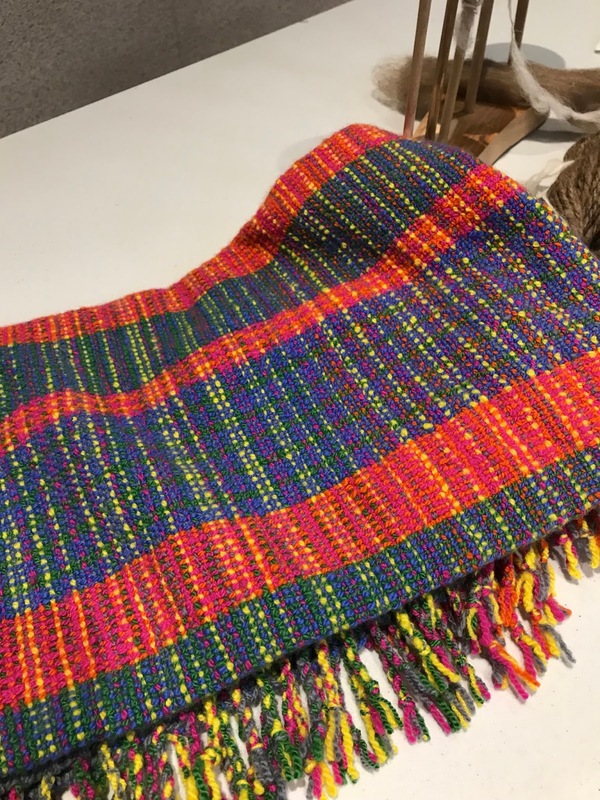 The Deep Cove Weavers and Spinners Guild held their first meeting of 2019 today. 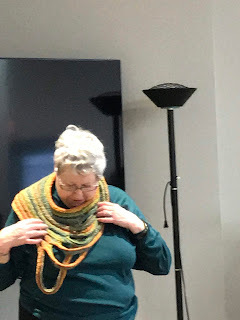 The room was full of chatter as members got caught up after the holiday break. 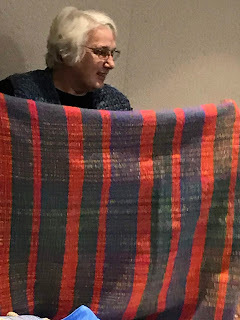 Stories were shared and show and tell was a lively affair. A great meeting and a good start to 2019. 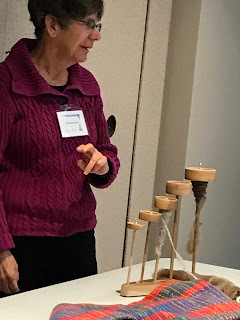 Elizabeth showed off her favourite Christmas gift - spindles made from a special cherry tree. 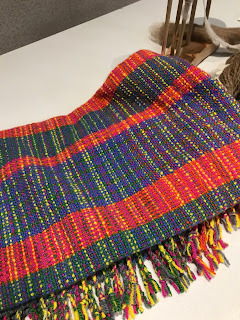 Johanne's blanket made from re-purposed handspun fibres. What once were jaunty mens boxer shorts (created for a show) is now a warm blanket. 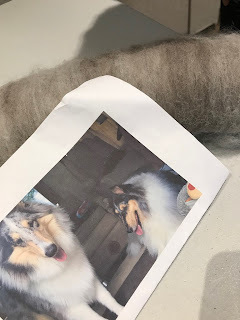 What will become of this lovely dog hair roving?